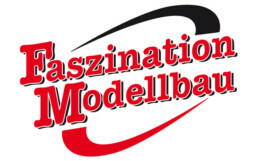 From 1.12-4-12.2018 we are together with our exclusive distribution partner Hacker Motor on the “Faszination Modellbau”. At the common booth we can present you our current assortment. We personally take the time to answer detailed questions about our components. This is the ideal opportunity to select your lighting system for the winter construction project. In addition to the first-hand advice at the trade fair stand, every day from 13: 30-14: 00 in the Forum of Hall A1 will have a presentation with a lot of background information about our system.